Uttar Pradesh, the heart of India, and the great landmass with a population of 200 million may get trifurcated into three states (or even four states). And Lucknow may lose its political power that will get divided among Varanasi*, Jhansi and Meerut, the capitals of the proposed states. It may take a couple of more years for the states to come into existence, but the growing regional aspirations among people in these regions and the politicians' vested interests will ultimately lead to the division of these states. Though UP is difficult to govern, given its size, the fact remains that smaller states have turned out to be bigger failures. As long as Chhattisgarh and Jharkhand were part of greater Madhya Pradesh and greater Bihar, the situation in these regions was not as bad as today. Both the states that had huge mineral deposits and other natural resources, have become hotbeds of Naxalism. Corruption has grown by leaps and bounds and insurgency has made development impossible. These arguments aside, the states will ultimately come into existence. Bundelkhand is the most under-developed region in North India. 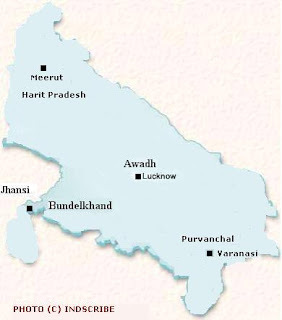 The historic city of Benares (Varanasi) will be the capital of Purvanchal (UP's Eastern part), that will share its borders with Nepal and Indian states of Bihar and MP. Bundelkhand will be carved out of both UP and MP with Jhansi as capital. But the most contentious is the issue of Harit Pradesh. There are 'strategic concerns' that this region of Western Uttar Pradesh (UP) that will have nearly 35% Muslim population, become a 'unique case' in the heart of India. The fact that the urban Muslim populace in this region is even higher, makes it unpalatable for not just BJP but many other parties also. Ajit Singh has however made it an issue, for quite sometime. UP has already lost Uttarakhand (formerly Uttaranchal) but still Southern states complain about its sheer size that gives a party winning in UP, a larger clout at the Centre. The Second State Reorganisation Commission is about to be instituted. And the long-standing demands of Telangana & Vidarbha can't be ignored either. Future will tell whether the backward regions and people of these areas will get benefited from the formation of new states or it will worsen things. 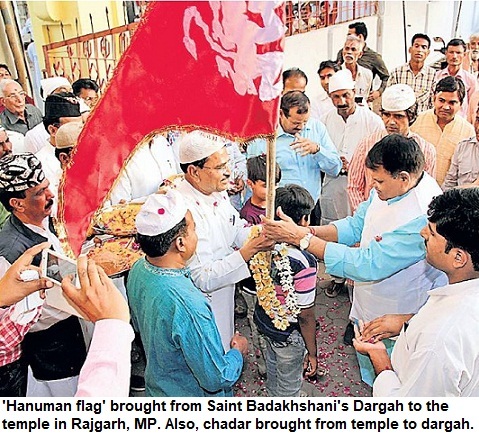 Will Azharuddin enter politics, join TRS!